Ashes of Moons is an examination of adoption through spoken word poetry, African mask work, and hip hop dance. 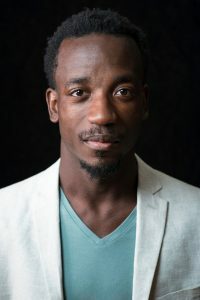 It will tell three stories centered on motherlessness; the first comes from the Yoruba people, the second comes from the Odyssey, and the third focuses on the relationship between himself, his siblings and their biological mother. Antonio Duke is inspired by various myths from the black spiritual canon that derive from the Yoruba, Santeria, and Voodoo deities. He uses his mediums of acting, hip hop dance, and spoken word poetry to bring them to the forefront of his work. In doing so, he hopes to illuminate diversity within black mythos in order to hold a space where black spirituals can be celebrated. He’s a recent graduate of the University of Minnesota’s/Guthrie B.F.A Actor Training Program. Coming this fall: West of Central!